The essential doctrines of the Christian faith are laid out in the historic creeds (Apostles’ Creed, Nicene Creed and Athanasian Creed). We seek to partner with all Christians from various churches, denominations and networks that are in agreement with these fundamentals. We are in broad agreement with the great reformed confessions of faith (Belgic Confession, Canons of Dort, Heidelberg Catechism, Westminster Confession of Faith and Savoy Declaration, 1689 Baptist Confession). While reformed, we also have a deep conviction on certain matters of ecclesiological articulation. For this reason, the most defined summary of what we believe can be found in the 1689 Baptist Confession of Faith. This was the confession that was used by the famous baptist preacher, Charles Haddon Spurgeon. 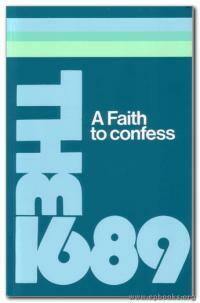 It is the confessional statemetent of historic reformed baptists churches, and continues to be the confession favoured by many modern reformed Baptist churches.